Download our loyalty app and be rewarded today! 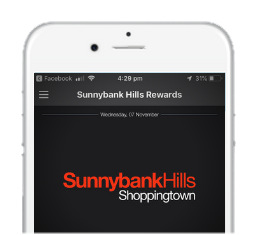 Become a loyalty member of Sunnybank Hills Shoppingtown. PETER RABBIT! Have you visited our Peter Rabbit Garden Patch? SCAN when you visit and you could WIN a FREE Peter Rabbit Hop to it Sticker Book!